Inquire over what their home is worth. How easy you make it to access all of that information is going to determine whether they decide to work with you or not. Is your site easy to navigate? Can I find what I’m looking for quickly? What if I need to get a hold of you, is your contact information readily available? Why should I work with you versus any other agent in this market? All of these questions impact whether someone decides to work with you or not. So how does your site stack up? 1. Good Visual Design & Thoughtful Navigation Structure. Simply put, first impressions matter. People are going to judge you based on what they see within the first few seconds of having landed on your website. A crisp clean design and easy to access navigation structure is going to put them at ease and make them feel like you have your act together and you know what you’re talking about. 2. Home Search Directly Integrated Into Your Site. If your current IDX integration is taking people off your website when they click to search for homes, you’re in a losing situation. At this point, capturing leads is like pouring water in a bucket with holes. Leads are coming into the site but escaping through the holes. dsIDXpress is our WordPress plugin – easy to install, and puts indexable listings right on your domain. Every time a new listing hits the MLS, dsIDXpress creates a new unique URL for that listing right on your domain. dsSearchAgent is our full-fledged search product that also integrates right into your website. Consumers can perform custom searches, subscribe to get email updates, save favorites and even take their search mobile. Bottom line, make it easy to search for homes but also control that lead generation funnel by keeping listings on your own domain. Write about useful things that people are interested in. That’s what’s going to keep them on your site. That’s what’s going to keep them coming back to your site. 4. A Solid About Page. The About page is often one of the most visited pages on a website. Thing about it, the consumer lands on a piece of content, they like it, so they want to learn more. Where do they click next? Yep, the About page. Testimonials (Social Proof). In other words, what others are saying about you as an Agent. 5. Contact Information Prominently Displayed. Where I live there’s a local mom-&-pop coffee shop that I love to visit. They serve the best Armenian coffee. But as of late, 4 of the 5 times I’ve been there, there’s no one at the register. The barista is either out back on the phone, or he’s outside talking with his buddies. Me? I just want my coffee. It’s frustrating. What’s my point? Don’t make people jump through hoops, wait, or otherwise struggle to get a hold of you. Otherwise, by the time they do get a hold of you, they’re experience is already full of frustration and you’re going to have to work that much harder to earn their business. Contact information should be displayed prominently on your site (on every page). Make sure your contact form works and every listing details page should have a contact form so you know where the lead originated from. Don’t make people fight to get a hold of you, make it easy and you’ll earn their business faster that way. What else would YOU add? 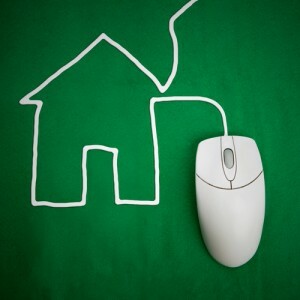 What other elements make a Real Estate Website effective?